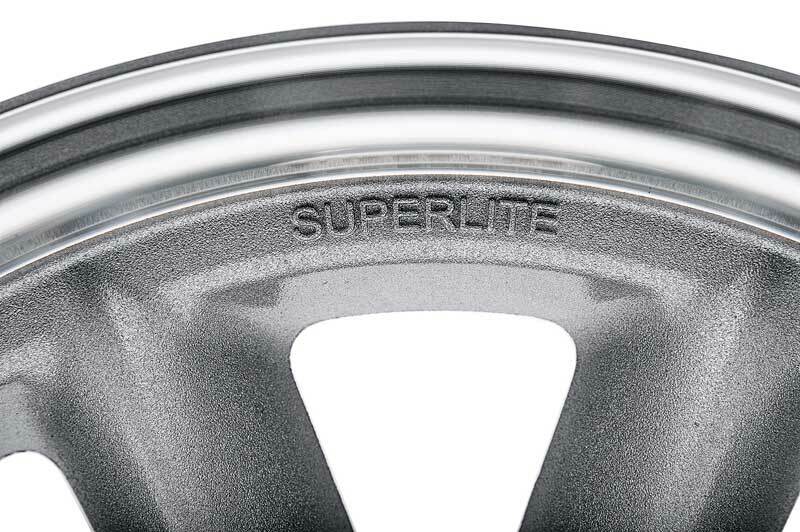 The Superlite wheel puts you back in the day of the Trans Am era pony car racing! 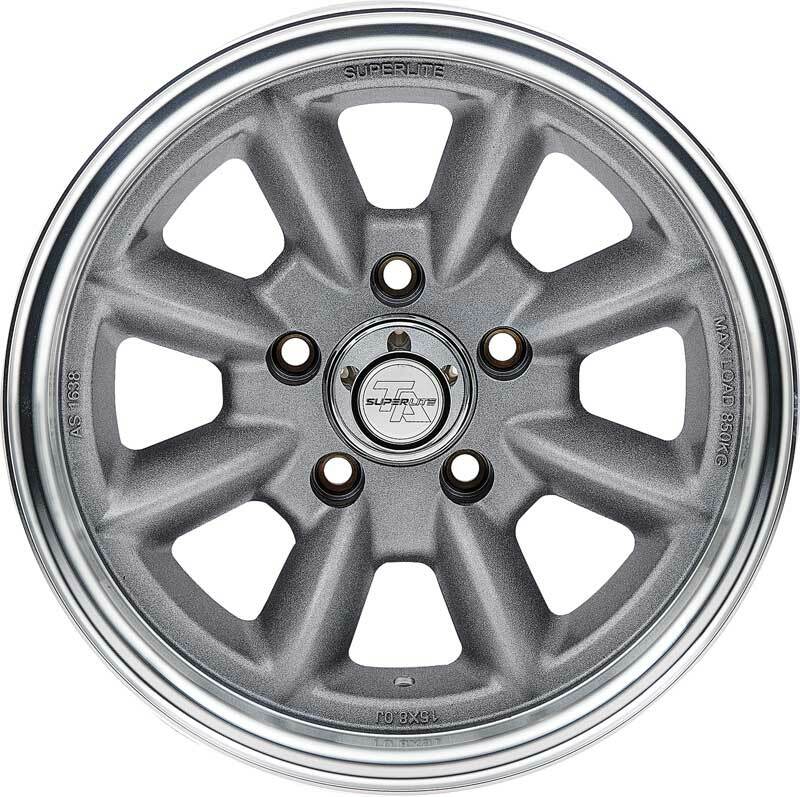 These wheels are currently used in the Australian Trans Am Series and have shown not only their beauty but their strength and durability. They will set-off your Camaro when you are out on cruise night or on the autocross track showing your driving skills. 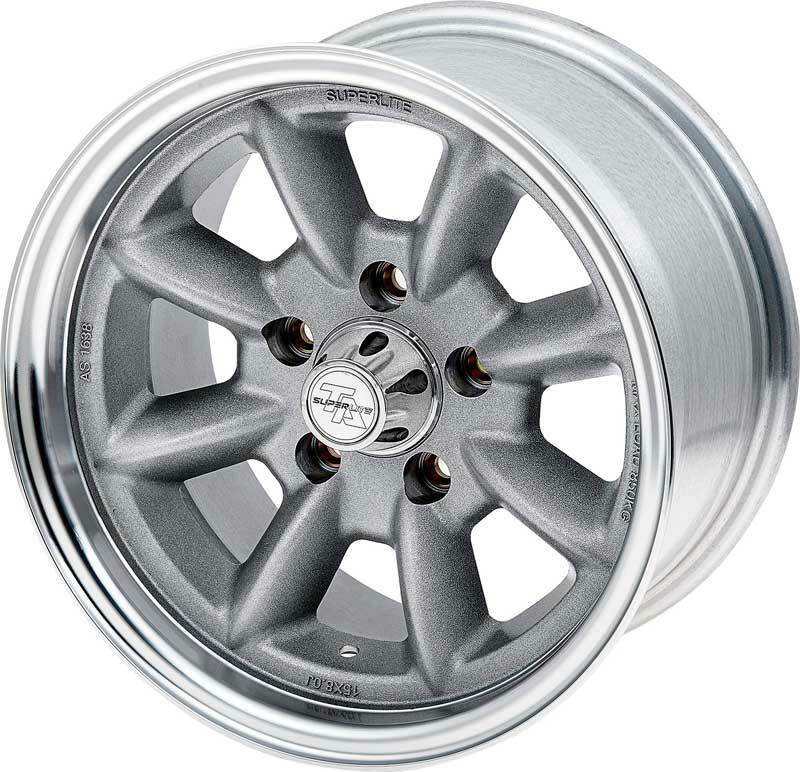 These are a high quality gravity cast aluminum and processed to the T6 specification. 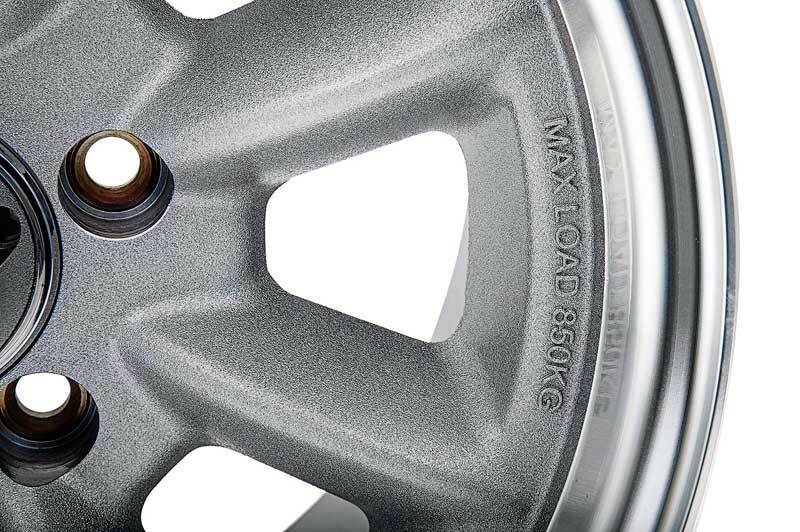 The wheel is over 1 pound lighter than the original Minilite wheel and 15% stronger in the spokes and core than the original. 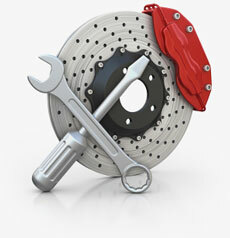 It is powder coated silver with a clear powder coat finish. 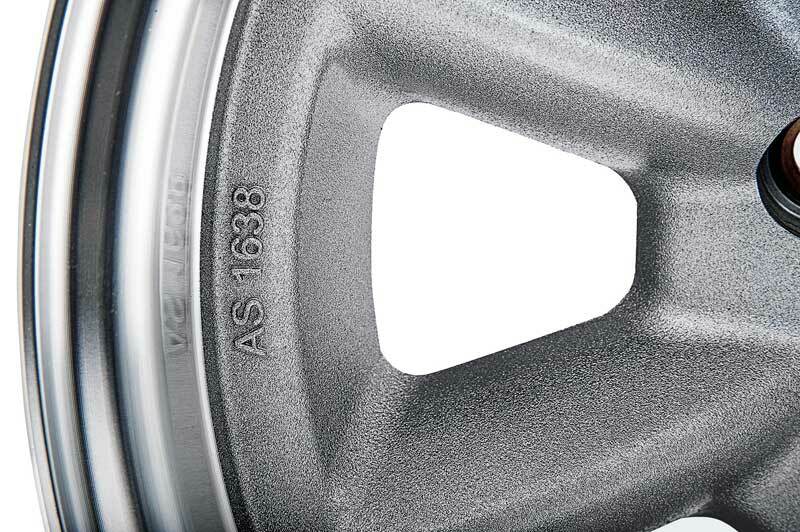 Wheel has a diamond finished outside edge. Includes cap. Lug nuts are sold separately. 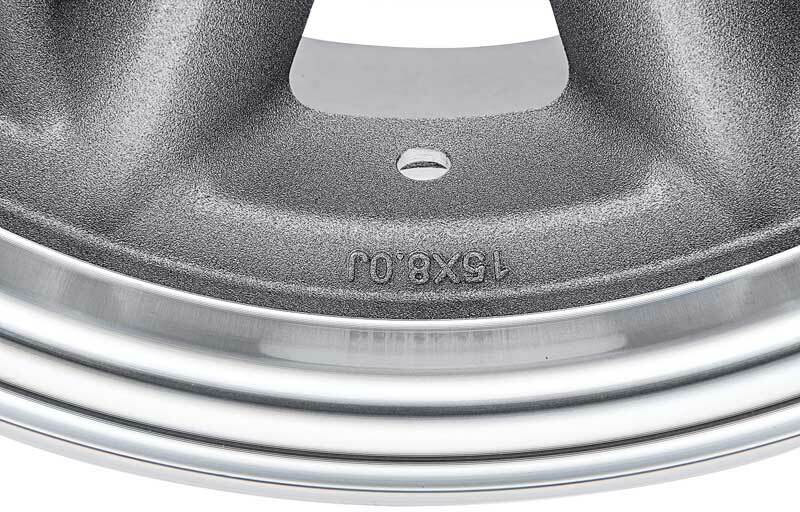 Bolt Pattern: 5 x 4-3/4"
RECOMMEND: Measuring the wheel opening from hub face to inside wheel lip housing and hub face to frame or inner wheelhouse to make sure you have enough wheel/tire clearance. 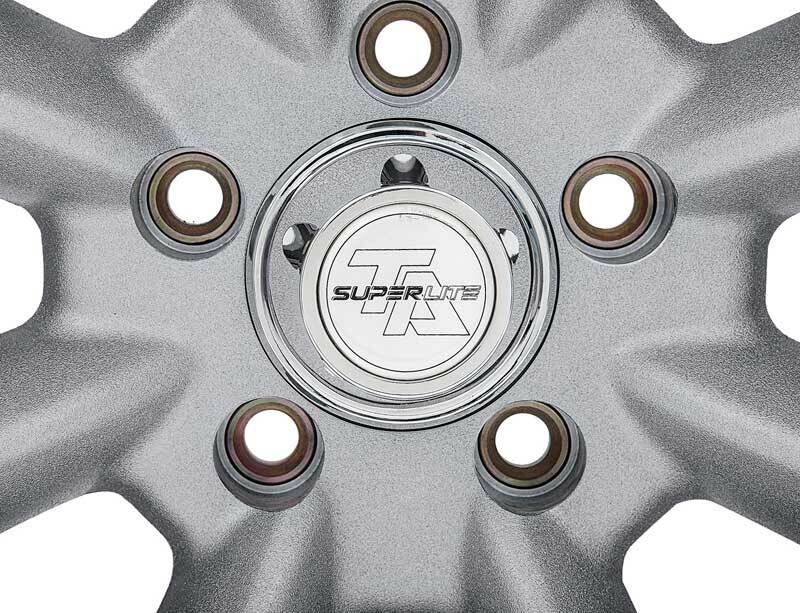 Use WK555 set of 5 lug nuts 7/16"-20 X 1.88" bulged acorn lug nuts with 3/4" head for one wheel. 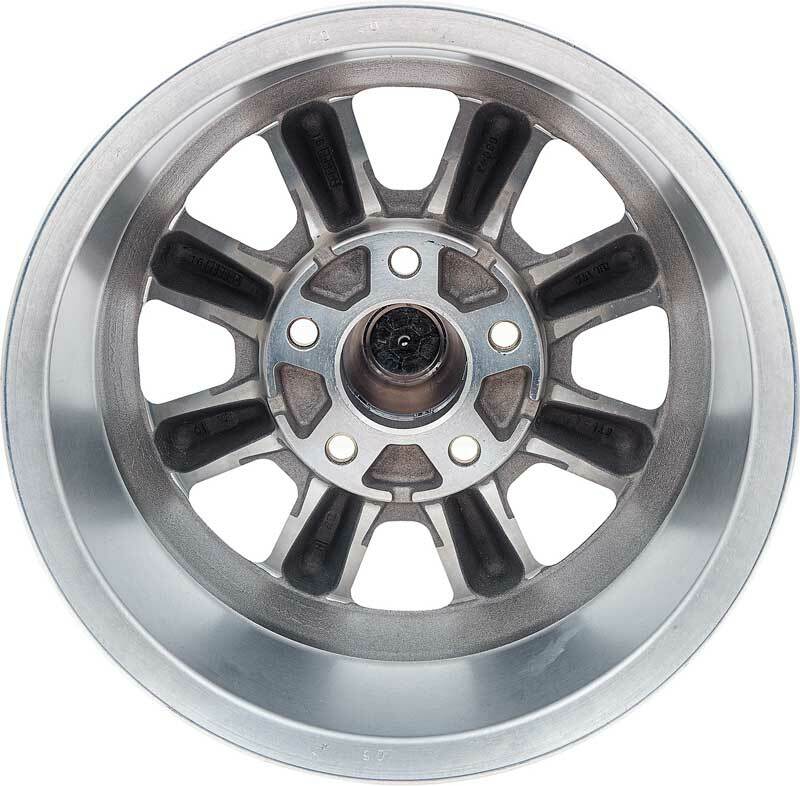 Or WK55 set of 20 acorn lug nuts 7/16"-20 X 1.88" bulged lug nuts with 3/4" head, wheel locks and valve stems.